Most often it means that a divorce sale must be carried out. All of the assets accumulated during the marriage have to be divided. There will be specific laws as to how this is legally done according to the state you are in. How complicated it will depend on the number of assets and the governing rules. 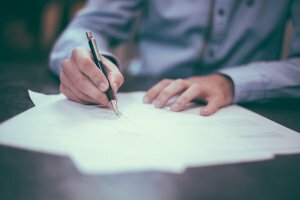 The sale of a home during divorce requires some careful planning and using the right resources. If you are your spouse are able to come to some amicable arrangements regarding your marital property then the divorce sale should be much easier and quicker. 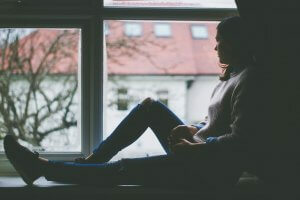 What happens to the house in a divorce is probably the biggest concern as this is usually the biggest asset in a marriage. First, understanding what the rules of the state that the divorce and divorce sale of the house is taking place in are most important. Some states go by the community property rules. This means, as a rule, all of the assets owned by the couple will be split 50/50. If the house was purchased together as a couple then the split should be fairly simple. Where it gets complicated is if the house belonged to one of the spouses prior to the marriage. Depending on the circumstances and the State it may not be considered as part of the community property or the divorce estate. This is when the divorce sale can become more confusing. It can also get complicated if the house was left as a gift or inheritance to one of the spouses. For these reasons, it is highly important to have proper legal counsel to assist with the division of the assets and to protect the rights of each of the spouses. 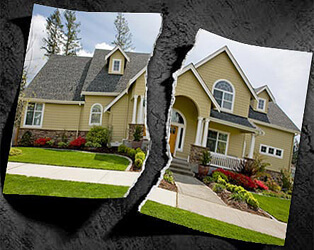 You will find that you have several options for proceeding with the divorce sale of a home. You have the option of attempting to sell the house yourself. If you decide to do this it means that you are going to have to advertise it and market it as heavily as possible. Some individuals who are going this route will commence with a divorce sale using Craigslist. There are pros and cons to attempting a divorce sale on your own. There are a lot of legalities when it comes to selling a house. Then on top of this, you will also have to deal with the legalities that come with a divorce sale. The second option is using a Realtor that is experienced and has the expertise and resources to conduct a divorce sale of a house in a quick manner. You also have the advantage of learning what the housing market for your area is like during this time, which is going to be important. You will also get a good idea as to what your house is most likely going to sell for. You likely have personal ties to the house and with the personal circumstances you are in at the moment you may tend to over evaluate the house. This could mean that the house will not sell or it would take a very long time to do so. If possible both spouses should come to an agreement as to what the house should be put on the market for, and this should be compatible as to what the housing market is dictating at the time. If you decide to go through a divorce sale using Craigslist or any other form of advertising you will need this plus a lot of other information to entice potential buyers. You may find that once you get your divorce sale listed that you are approached by investors who are willing to buy your house for cash. If you are wanting to sell quickly this may be an inviting offer. It may be that it is lower than what you wanted but you may need to consider how it works in with the current situation that you are now in. Chances are you and your spouse want to get the assets settled so your divorce can become final. The divorce sale process is not much different than a regular sale of a house except the timing may be important. Often one party moves out of the home and it can be financially difficult to keep up with the expenses of the house. There may also be some discussions as to whether one party wants to buy the other out. If this is the case then re-financing of the mortgage would have to take place. In any event, until this asset is sold both are responsible for the mortgage and you don’t want to let this go into arrears. The party that remains in the home during the divorce sale is going to have the responsibility of making sure the home is show ready for viewings. This may also mean some minor repairs are needed which should be done quickly to encourage a quick sale. During a divorce sale, the best option is to retain an experienced realtor and perhaps sharing with this expert that this is a divorce sale so they understand the urgency of getting the home sold quickly. It is also important that both parties rely on independent legal counsel for the division of the assets. Neither party wants to take it upon themselves to sell the house or any other asset prior to the divorce without mutual consent as there could be legal repercussions to this. Each spouse needs to know what their rights and obligations are and what the law states about the division of assets. It is imperative that both spouses come to an agreement that the house is to be sold and at what price. If these factors are not agreed upon it can make it extremely difficult through the sale process when offers come in. Good As Sold Home Buyers can make you a cash offer to buy the house as-is. You can get an offer on your house within 24 hours just by contacting us. Click here to get a cash offer for your Seattle house or give us a call at (425) 366-7574. We look forward to talking with you about what options you have.